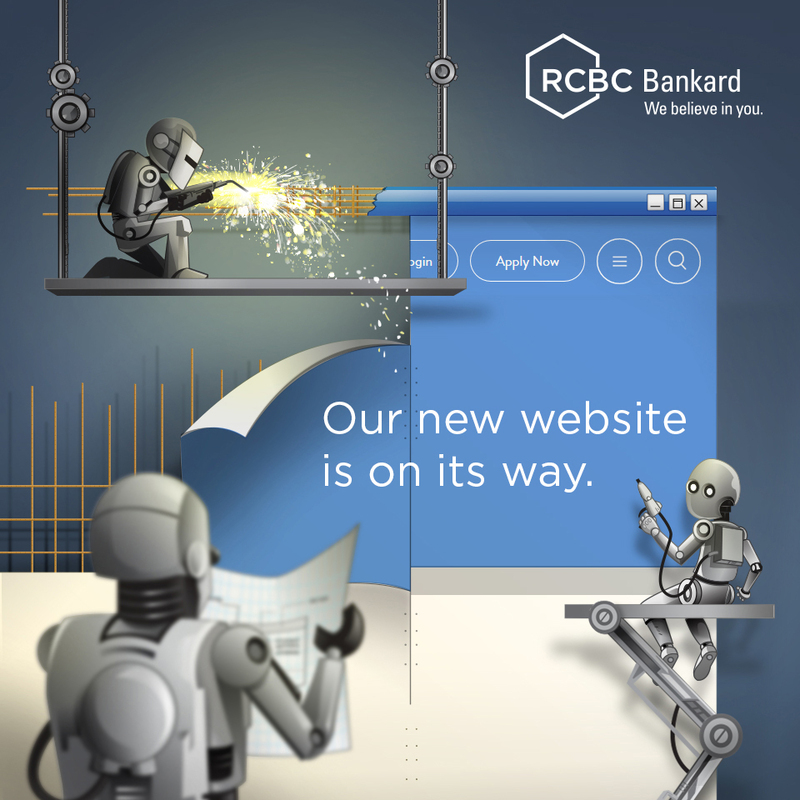 Your RCBC Bankard has been developed to make your life better. On top of providing you the most flexible Rewards Program, it’s your shopping companion that’s both empowering while espousing responsible spending. Your RCBC Bankard provides you with first-of-its-kind financial management tools that give you financial control and empowerment. It’s a built-in feature in your monthly statement that summarizes all your credit card transactions, and records it according to categories. Learn more about Spend Analyzer. Gives you peace of mind because you receive real-time SMS alerts with an updated tracking or your allocated budget each time you make a purchase. Enroll your RCBC Bankard in Spend Monitor. Here are fast ways to pay your electricity, phone, water bills and more! You’ll even get rewards points for all your bills payment. Learn more about Fast BillsPay. Shop with confidence knowing you’re covered with secure online shopping solutions and built-in card protection program. A One-Time Password (OTP) will be sent via SMS to the cardholder’s registered mobile number every time you shop online at participating 3D Secure websites.Learn more about OTP here. Perfect for buying small-tickets items online. It’s a reference device that you can use for online shopping without having to reveal your main RCBC Bankard card details. Get your free web shopper. With your RCBC Bankard being equipped with an EMV Chip, you’ll enjoy the benefit of the chip technology that will help increase security and reduce fraud. Learn more here. A one-stop card protection program that covers both unforeseen life events like death/disability and unauthorized purchases arising from fraud, theft or loss of credit card. Learn more about Credit Protect Plus. We give you the lighter ways to pay off your purchases. Experience the most flexible 0% installment with the widest reach, ALL YEAR ROUND! You can convert ALL your STRAIGHT purchases to installment. Learn more here. Want a worry-free way of buying a big-ticket item? You can, with your RCBC Bankard! With RCBC Bankard Easyterms 0% Installment Program, choose to pay through Installment at selected merchants at 0% interest, for 3, 6, 9, 12, 24, or up to 36 months term! Learn more here. Transfer your non-RCBC Bankard credit card balance for as low as 0.79% add-on rate per month. Learn more here. Convert your straight single or multiple purchases from any merchant, to installment. Enjoy low monthly add-on rates, and payment terms of up to 36 months! Learn more here. Need extra cash for school-related expenses? Use your available limit and convert it to cash with C.H.A.R.G.E. Learn more here. Get the extra cash you need courtesy of RCBC Bankard’s Cash Loan. Learn more here. Your RCBC Bankard is accepted worldwide and provides you with outstanding privileges. Truly, it’s your Best Travel Companion. Purchase your travel tickets using your RCBC Bankard and get free Travel Insurance. Use your card abroad and avail of free Purchase Protection. Enjoy the comfort and luxury offered by world-class airport lounges while waiting for your flight. Convert your RCBC Bankard purchases abroad, including your dining, hotel, and tour-related expenses to 0% installment for 3 months. With RCBC Bankard’s BONUS TRAVEL LIMIT, you can get up to 100% increase in Credit Limit during your travel period. Use your RCBC Bankard to withdraw from ATM’s bearing the Cirrus or Maestro logo. Through the Cash Advance (CA) facility, you can get instant access to cash anywhere in the world, via your RCBC Bankard and your PIN (Personal Identification Number). No PIN yet? Call 888-1-888. Stay more organized with your finances by going paperless! View your latest statement of account; pay your credit card dues online, compute your monthly installment payments via an online calculator and enroll in the eStatement via email facility. Everything is simple and menu-driven. See all digital services here.